All pet owners might know that disorders of intestines and stomach in cats are not rare. If your lovely furry friends have just gone through a short spell of illness, chances are they will get well soon. However, things get worse if he/she has been suffering from chronic vomiting, he/she has repeated hairballs, or you have had to clean up his/her diarrhea for several weeks. In the worst cases, you should have him/her checked to make sure he/she is in the best health condition. Inflammatory bowel syndrome (IBD) can be a sign of a serious problem. Inflammatory bowel syndrome, how to treat it, and inflammatory bowel disease cats life expectancy have a way of drawing all cat owners’ attention. Rather than a specific disease, inflammatory bowel disease (IBD) is a syndrome. What’s the cause? A specific reaction to chronic irritation of the intestines and/or stomach. Depending on the type of IBD, this kind of infiltration damages the walls hugging the lumen of the gastrointestinal tract, making them thicken and disrupting the performance of the normal function of the intestine. The consequence of the response of your pet’s body to an insult, injury, or a strange substance continuing for such a long period of time is a very excess fibrous scar tissue replacing the normal skin. Putting myself in your shoes, then I know how difficult it is to make a decision of putting down your beloved one. What are the symptoms of Inflammatory Bowel Disease in Cats? What are the causes of inflammatory bowel disease in cats? Even though it is not easy to identify exactly the cause of your cat’s inflammatory bowel syndrome, there’s a lot of triggers to blame for. Cats will be really susceptible to inflammatory bowel disease if he/she is suffering from an unsuitable diet; or if he/she is tolerating hypertension, pancreatitis, liver disease, or hyperthyroidism; or if she has had spiral-shaped bacteria or gastrointestinal parasites that can make your cats vomit for a few weeks. Helicobacter pylori is one of the most popular ones of all these spiral-shaped bacteria. Though these types of bacteria are believed to be the pathogens of inflammatory bowel syndrome found in your cats, finding the trigger for the onset of a chronic infiltration of inflamed cells in the stomach or intestine is not always easy as what you might have thought. Thus, in those unknown cases, this disease is called as idiopathic ones -- of the unidentified cause. Inflammatory bowel disease is often treated as a diagnosis of exclusion and it cannot be cured. It is not exaggerating to call it a lifelong commitment. Rather than seeing your active friend suffering from substantial weight loss or the risk of malnutrition and bad health condition after the process of diagnostics, sometimes you had better set him/her free. Not to mention the substantial financial constraints in treating them with a definitive diagnosis via biopsy. We all know that letting him/her go is one of the hardest things you ever make. And only those who’ve ever been in the same position as yours can understand. A biopsy is the only one way to ensure a diagnosis of inflammatory bowel syndrome and make sure that these symptoms are not a sign of cancer. Surgical and Endoscopic – are the two basic types of biopsy. However, further testing is usually required to determine what is the cause of the occurrence of the tissue reaction. 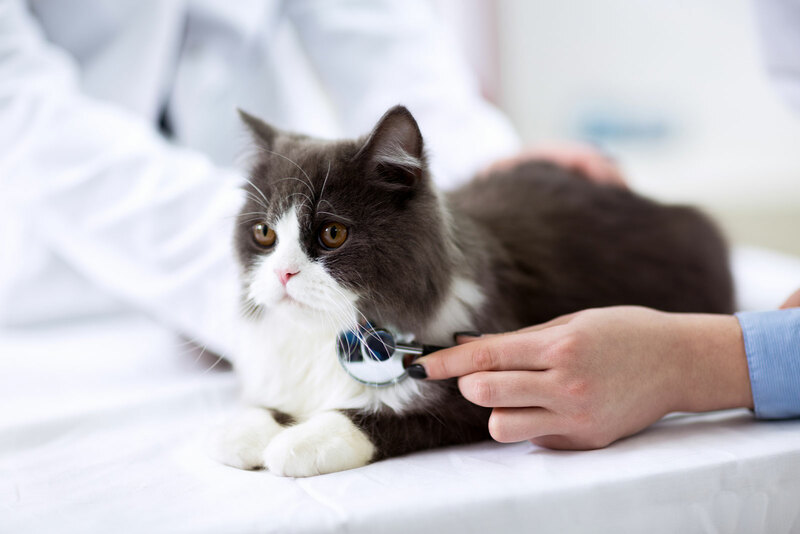 In order to stave off these illness found in your cat’s liver, kidneys, and pancreas, as well as diseases such as diabetes, Feline Immunodeficiency Virus (FIV), heartworm, and hyperthyroidism, vets will have to perform blood tests. Meanwhile, in order to rule out stomach and cancer, intestinal parasites, and infections, they will have to perform various different treatments or tests. In much worse cases, even the best veterinarian cannot determine exactly the cause of IBD. In case a change in diet is suspected, your cats will have to try a true test diet, either high-fiber diet or a kind of commercial food, exclusively for 42 to 84 days. How to prevent your cats from Inflammatory Bowel Disease? The bad news about Inflammatory Bowel Disease in cats is that once he/she contracts this syndrome, it can be very difficult to treat, but the good news is that it can easily be preventable. For a good outcome, regular check-ups at a reliable vet are important. Doing that and there is no need to think about inflammatory bowel disease cats life expectancy.